The New Guinea sheath-tailed bat weighs about 10 g (about 1/2 oz) and is approximately 6 cm (2.5") long. It has been found from sea level to 1200 m (0 - 3900'). The New Guinea sheath-tailed bat is an insectivore. It is a cave dweller, where it clings to vertical walls in the twilight zone of the cave and emerges before sunset to forage in open areas. The social behavior of sheath-tailed bat species at the day roost includes interactions between rival males, between males and harem females, and between mothers and infants. The New Guinea sheath-tailed bat is found from the southwest to the southeast of the island of New Guinea. 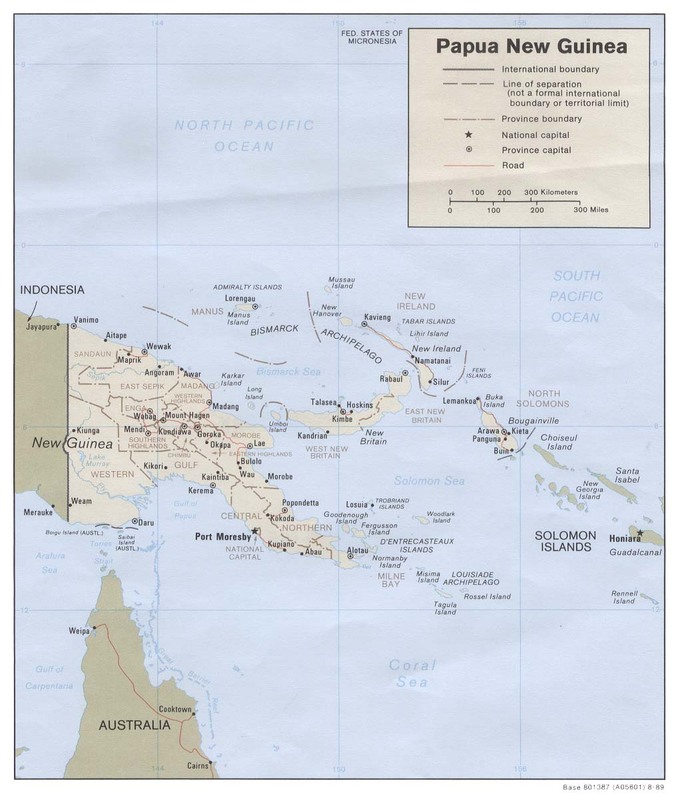 As of 1998, it was known from only 9 sites, 2 in Irian Jaya, Indonesia and 7 in Papua New Guinea. It is declining due to loss of habitat. *** Etymology of the scientific name of the New Guinea sheath-tailed bat: genus name - "to throw in" + "tail" (Greek), a reference to the separation of the membrane between the hind legs from the tail; species name - "thievish" (Flannery 1995). The New Guinea sheath-tailed bat is declining due to loss of habitat . The New Guinea sheath-tailed bat weighs 10 - 14 g (0.4 - 0.5 oz). The head and body lengths of various specimens have been measured at 55 - 61 mm (2.2 - 2.4") (Bonaccorso 1998) . All known records of roosts of the New Guinea sheath-tailed bat are from limestone caves or mining tunnels. It has been found from sea level to 1200 m (0 - 3900') (Bonaccorso 1998). The New Guinea sheath-tailed bat is an insectivore. The social behavior of sheath-tailed bat species at the day roost includes interactions between rival males, between males and harem females, and between mothers and infants. The New Guinea sheath-tailed bat shares its roosting space with other bat species (Flannery 1995) .